Buyers Like Garages – A Lot! Curious About Housing Activity In Your Neighborhood? Every homeowner is curious about home values in their neighborhood and how the current market activity may be affecting their home’s value. At Allen Tate, we’ve made that really easy for you! “Market Report” is an exclusive tool developed by our firm to keep you abreast of real estate activity in your neighborhood. It provides a summary of all the properties for sale, properties under contract and recent sales. It allows you to link to full property details on each home including photos, and then summarizes all the statistical data for the properties included. We currently send in excess of 60,000 Market Reports monthly to homeowners who have subscribed to the report. It’s like receiving your stock investment portfolio statement every month – but it includes data on your real estate investment! 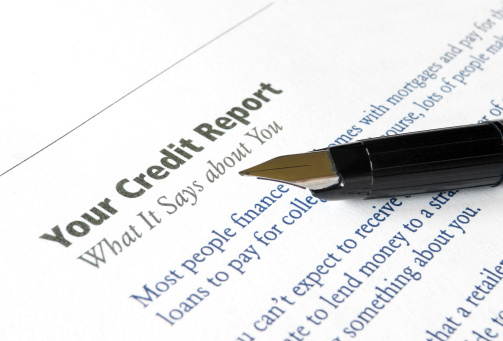 Does My Credit Affect My Insurance Prices? To the typical consumer, insurance rates and credit score probably seem completely unrelated. Who would think that the price you pay to insure your home, autos, and personal property would be directly related to your credit? As a 30-year veteran of the insurance industry, I’ve personally seen the ebbs and flows of the business. It’s been interesting to observe how insurance companies choose their individual philosophies on how to succeed and take care of their clients, but also how they figure out the cost of that service and product. In the last decade, the relationship between credit scoring and insurance pricing has come to the forefront of the industry. And as with any controversy, you have people on both sides of the topic. Despite personal opinions, the simple truth is that most insurance companies and actuaries have found mathematical links between the credit score and insurance pricing. Because of this information, companies can better determine the profitability of a risk and an insured client’s likelihood to file a claim.